A while ago I posted how to make Aloe Vera gel. 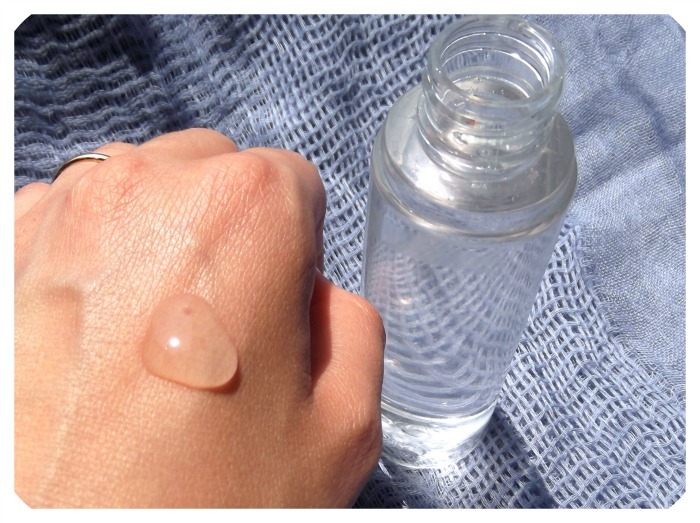 I was planning to post a recipe of an hydrating gel (I have been using it in the morning for the last two months and I love it), but before I start, I thought it would be more important to show you how to make the basic ingredients for this gel. Of course Hyaluronic Acid gel is one of these ingredients! I love hyaluronic acid for the property of keeping the skin hydrated, also it is a substance that is naturally found in our skin. It is used in many anti-aging creams (I don’t believe it is miraculous and it will make wrinkles disappear, but simply because it helps keeping the skin hydrated, the skin appears more plump and fresh). At this point some people like to mix it and some people like to let it be. I have actually tried both ways and here is my experience: if you try to mix it at this stage, part of the SH will stick to the spoon. This means that a precious part of your gel will get lost (and SH is not exactly cheap, so you’d want to mind this). 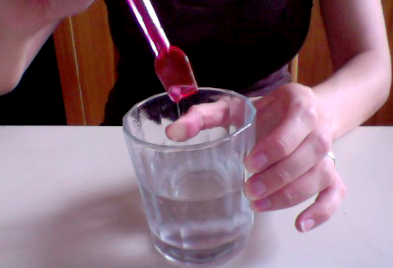 IMO it is better to let the SH hydrate by itself on top of the water for a while, and stir later. 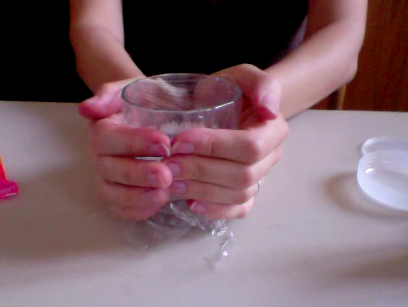 4) Cover the glass with plastic film and let it rest in the fridge for few hours. 5) After few hours the SH will be hydrated. 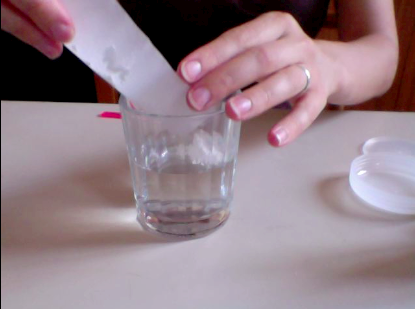 Now you can stir it with a spoon so to make the gel more smooth (there will be harder parts and softer parts). 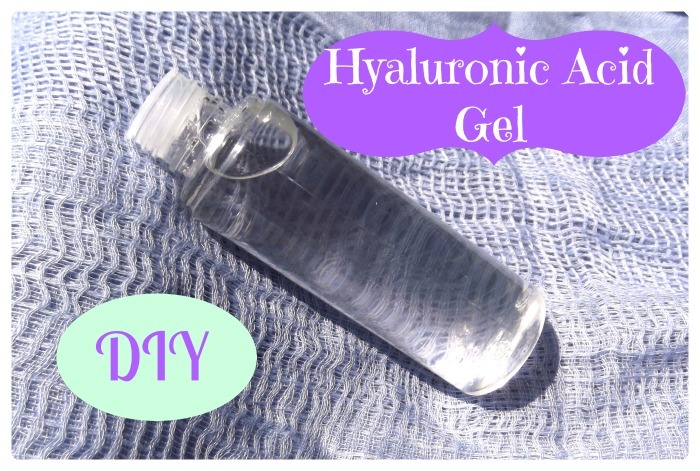 You can use this Gel by itself, for its great hydrating properties! 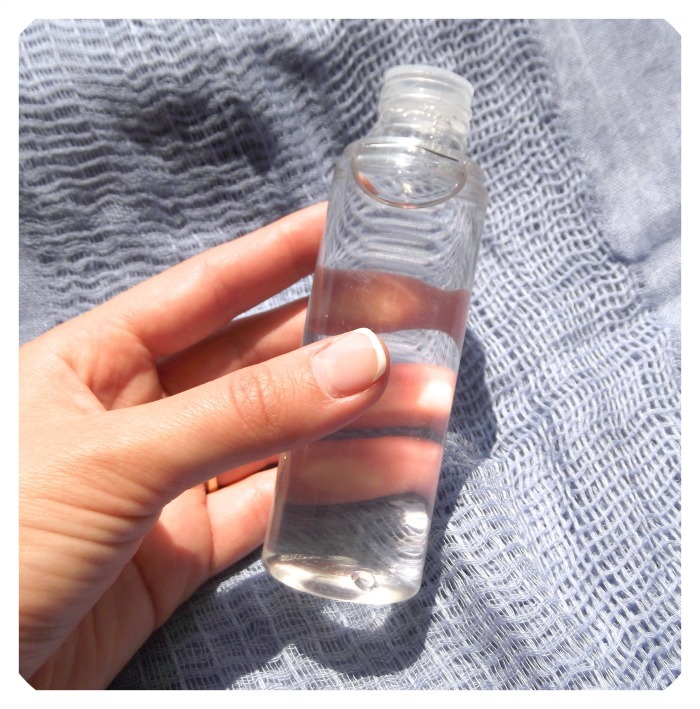 You could also make a more luxurious gel by substituting part of the water (or the entire water) with Rose water! As you might have noticed in the market we can find creams or serums that say “40% Hyaluronic Acid”. Well, as you can see I am using 1% of Sodium Hyaluronate and this is the highest concentration I can use. It is technically impossible to use 40% of SH inside of a gel: it will never hydrate and you will waste a huge amount of money. I tried once to make a 2% and it took ages to hydrate. In the end it was too thick. I could still use it but it was not a good gel at all. I don’t know what they could mean by saying “40% Hyaluronic Acid” on a product where there cannot be more than 2% of SH, but it is long time I stopped believing what I read in the commercials for creams. The only thing I can believe now is the INCI and what I KNOW is that in one cream where it was said “40%”, the Sodium Hyaluronate in the INCI was at 6th place (this means that in NO WAY it could be at 40%, it could have been at maybe 1% or even less). 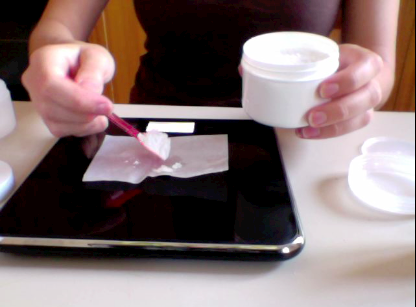 The only way to be sure of what’s inside a cream or serum or face-gel is MAKE IT YOURSELF! Just a comment for anyone who is vegan, or concerned with animal testing etc….SODIUM HYALURONATE is derived from animal sources. The following excerpt is fro, EWG Cosmetic Data Base…. About SODIUM HYALURONATE: Sodium hyaluronate is the sodium salt of hyaluronic acid, a naturally occurring polysaccharide found in connective tissues such as cartilage. This ingredient is listed in the PETA’s Caring Consumer guide as derived from animal sources. Hi, I was wondering if I could replace part of water with aloe Vera gel and if yes then do I need to heat the water and gel first of I can follow the procedure you have mentioned. Why would you add aloe vera gel? And would you add the one straight from the plant or a store bought aloe vera gel? I would like it to it much better for the skin as Aloe Vera has slot of benefits. Gel would be store bought. 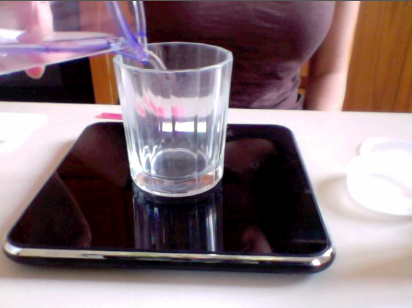 BTW today I made my first batch with just distilled water and applied very little on my face to try. No doubt my face felt very soft to touch but I got some kind of Allergy and my body started itching. I have just taken an anti allergic tab while am writing this. Don’t know the reason. Should I try making it with less than 1 % . I am sorry but it is not clear what you made: did you make water + hyaluronic acid? 2) you are allergic to hyaluronic acid: which is very difficult since it is something we already have inside our skin. So I am thinking that what you bought is not hyaluronic acid. Where did you purchase it? I don’t suggest you to use it less than 1%, if you got a bad reaction to whatever substance you used, you shouldn’t use it again! Thanks for the help. I just used distilled water and HA and added iscagard peg .5% . I think I will make a smaller batch first without the preservative . And also talk to my supplier from. Where I got my HA. Iscaguard peg, the company suggests to use it in the range between 0.4%-1%, why did you add it at 5%? It is not fresh water. Its solubility in water is 2.6%! Of course it was IRRITATING. Do a batch of water + HA + preservative at the correct percentage! Thanks. So iscagard peg should be 2.6% right. I plan to make 10gms tomorrow to just try. 2.6% is the SOLUBILITY IN WATER. The USAGE percentage is between 0.4% and 1%! OK, I made it again today with any preservative as I made just 10gms . So far no reactions … Am gonna try with preservatives over the weekend to see the results. Thanks for all the help. Hi! Thank you for these instructions, I have just placed an order for hyaluronic acid to try this myself. Do you think I can use rose hydrosol instead of rose water? I know they are not same but it’s what I have on hand. Thanks again for your great blog!